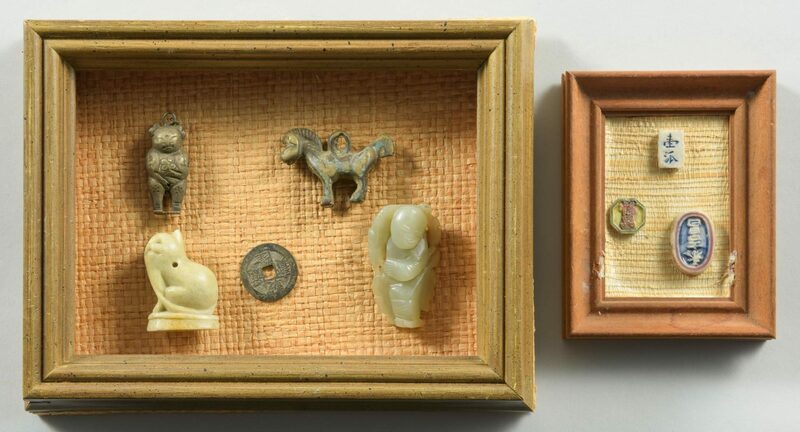 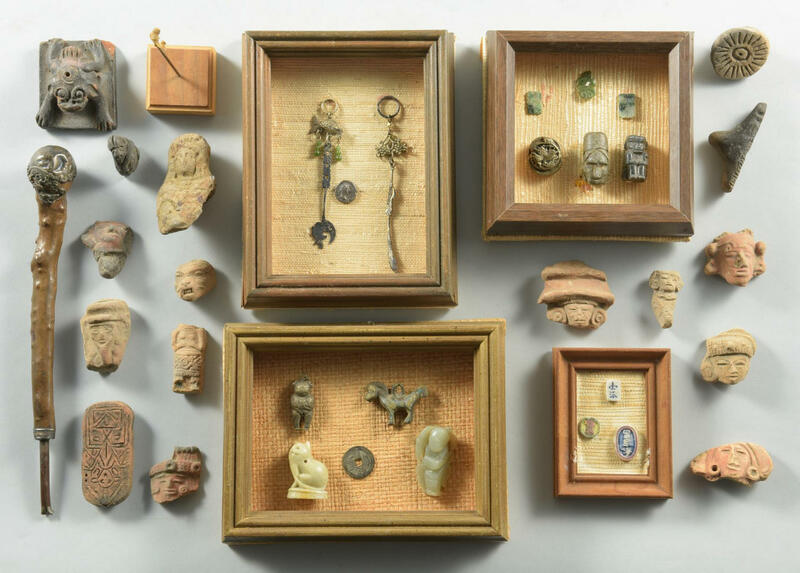 Lot of small Chinese and other early international artifacts including 3 brass figural charms or toggles (child, horse, bird); 4 brass and porcelain game tokens or coins; three tiny hardstone charms or tokens, 1 hardstone carving of a cat, 1 celadon hardstone figure of a boy with fish; 1 terracotta figural frog stamp; 1 carved ceramic stamp; 1 carved pipe in the form of a man's head; 1 silver-topped burled root parasol handle, engraved Mrs. J.L. Weakley Jr.; 2 engraved metal charms or picks (one with fish and green hardstone, possibly jade, beads); 1 early coin with bust (possibly Roman, 5/8" diameter) and 1 ceramic figural head fragment with part of brown glaze remaining on back, now mounted atop a stand, 5 3/4" overall. 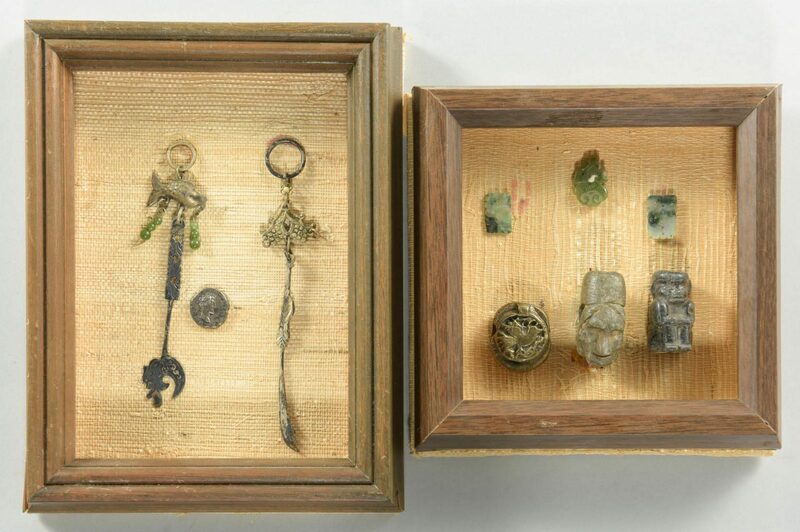 Items are putty mounted to shadowbox frames (no glass) 7" x 9". 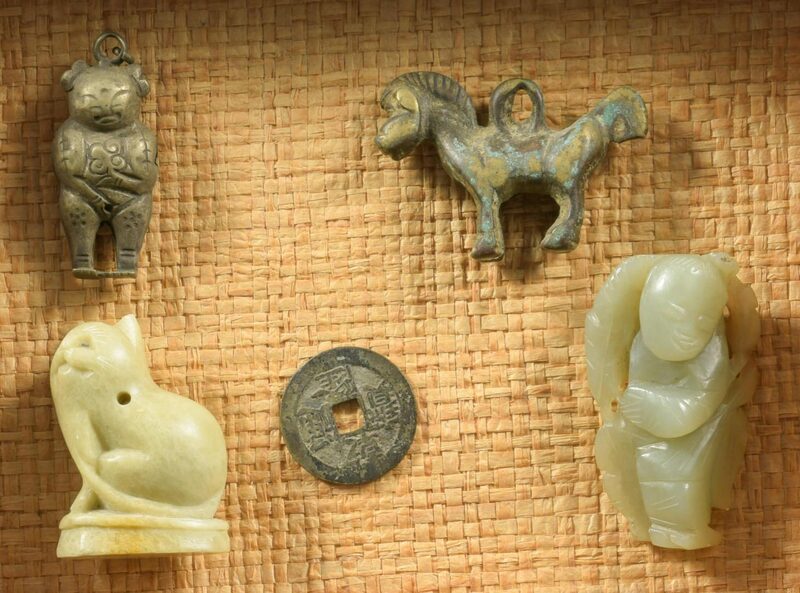 Provenance: consignor is an archaelogist who worked and traveled in Asia in the mid 20th century. 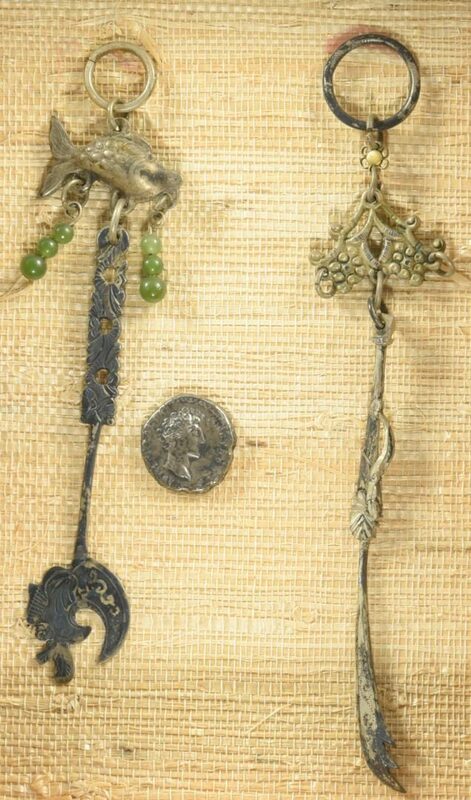 CONDITION: All metal items show some wear and oxidation. Chip to frog stamp at corner.